Oh so soft! 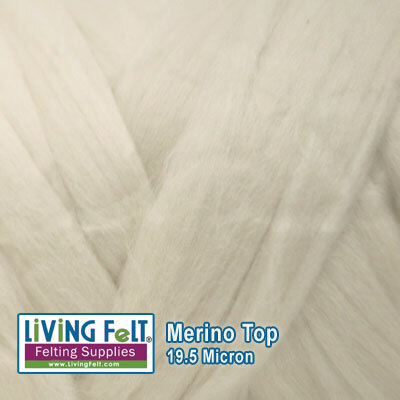 19.5 micron merino top in gorgeous colors, perfect for your wet felting and nuno felting projects. Try this for your felted purses, felted and nuno felt scarves, wet felted hats, and other next to the skin or fine felt creations. This is a NATURAL WHITE and sits beautifully in between our Lily White and Sand Dollar.